The diamond now holds the record as the most expensive blue diamond to have been sold. 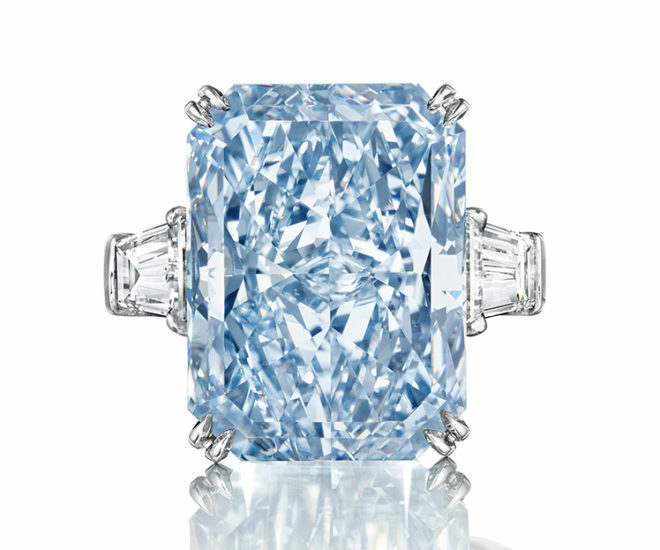 Back in May, the auction house Christie’s announced the sale of the fancy intense blue diamond called the Cullinan Dream. At 24.18 carats, the diamond was regarded as a rare find. 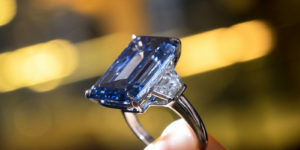 Now, the diamond holds the title as the most expensive fancy intense blue diamond to be sold. 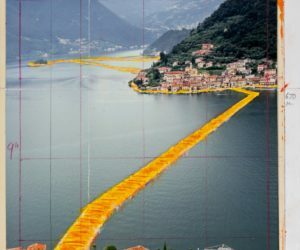 Fetching more than $25 million, the diamond was auctioned at Christie’s on Thursday in New York. Classified as a Type llb diamond, the Cullinan Dream comes from the 122.52-carat rough blue diamond found in the Cullinan Mines of South Africa. 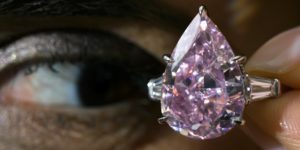 The largest of four diamonds to be found, the diamond falls into a rare category that accounts for less than one-half of the 1% of all diamonds found. Its unique color is the result of small amounts of boron being trapped in the crystal carbon structure during the formation of the diamond. 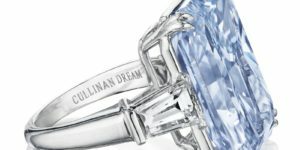 The Cullinan Dream is now set as a cut-cornered rectangular mixed-cut fancy intense blue diamond and is flanked on either side by a tapered baguette-cut diamond. 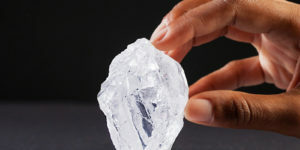 Other well-known diamonds that have been mined from the Cullinan mine include the 3,106-carat rough diamond that is known as the Cullinan Diamond. This rough diamond was then cut into two magnificent gems that now sit on the Imperial State Crown and Sceptre of the British Crown Jewels. To learn more about the Cullinan Dream, click here.